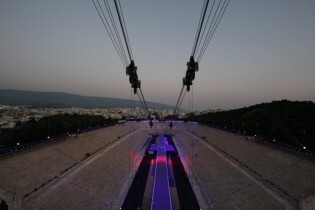 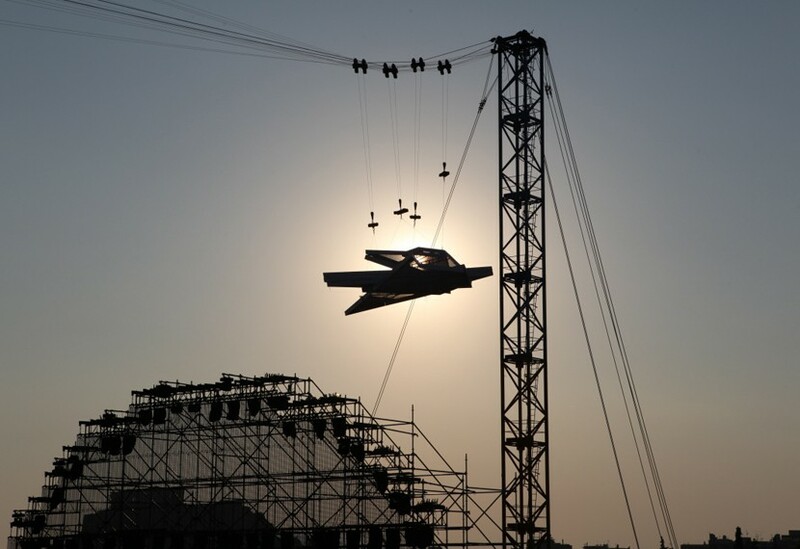 Running at a length of 310 metres, this catenary system was both the longest we have ever provided and also the most challenging, with the Athens climate throwing constant wind, extreme heat and electrical storms into the midst of an extremely tight schedule. 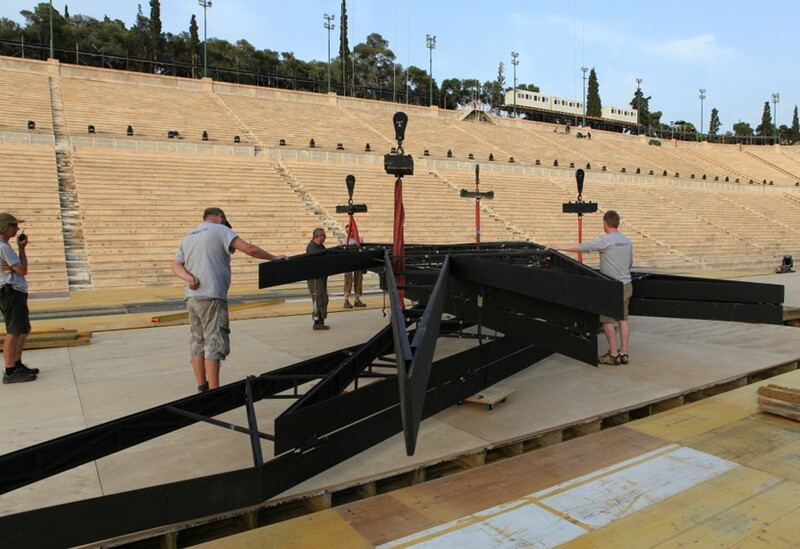 We constructed temporary towers to compensate for the 30m change in level between the hillside and street level ends of the stadium and also produced two double-sided, stylised ‘figures’ of Poseidon and Polyphemus. 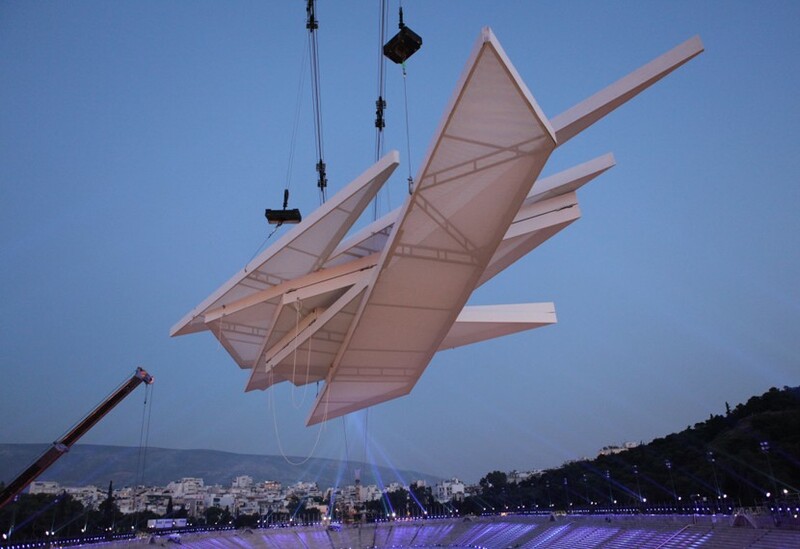 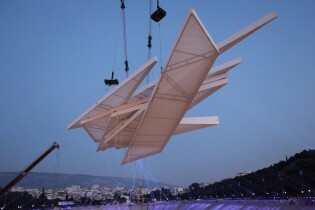 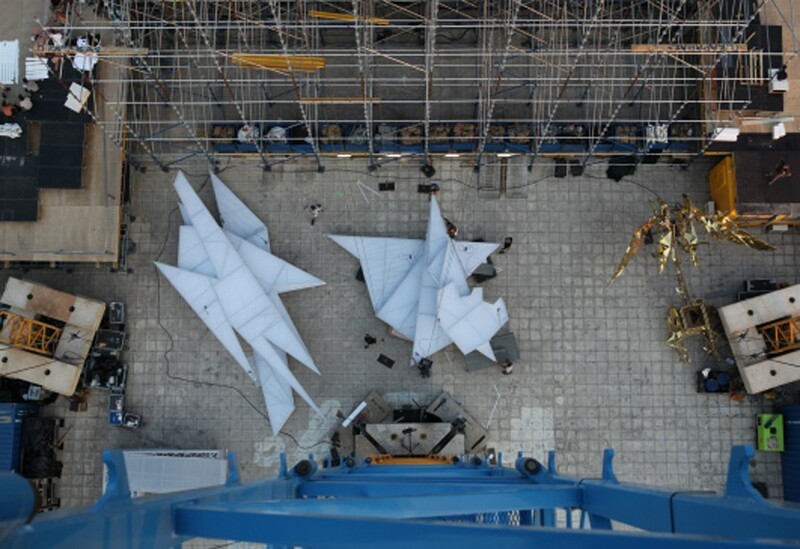 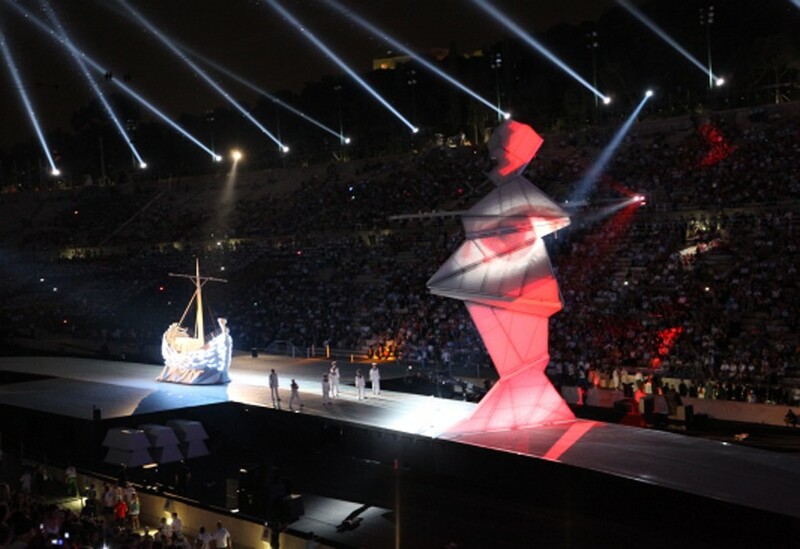 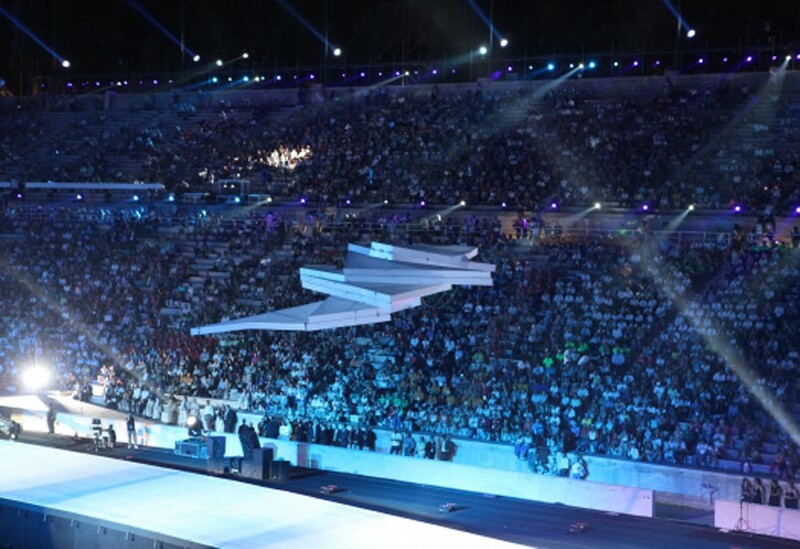 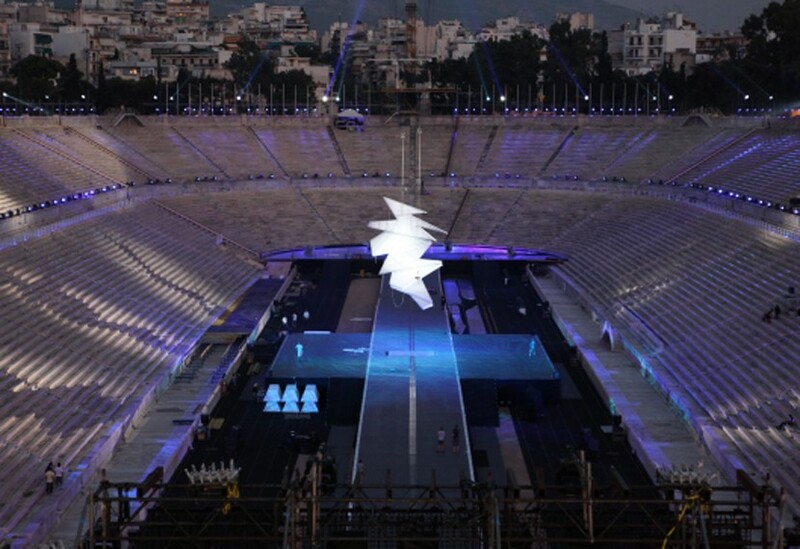 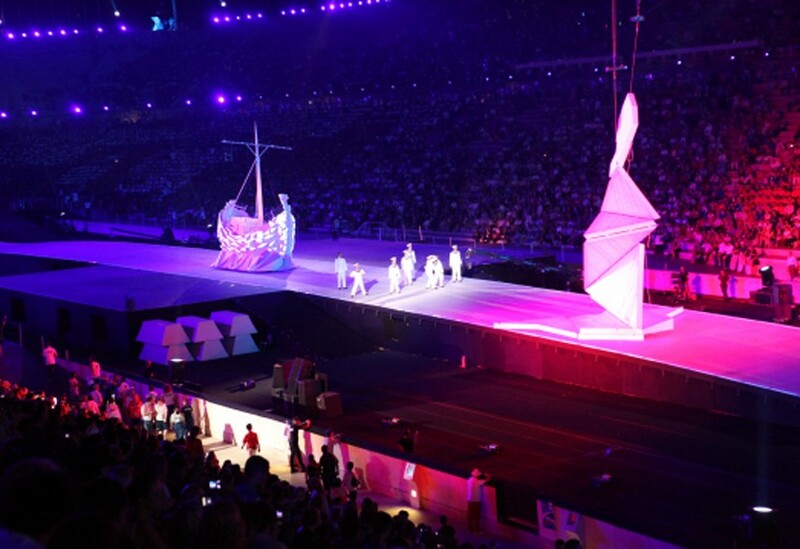 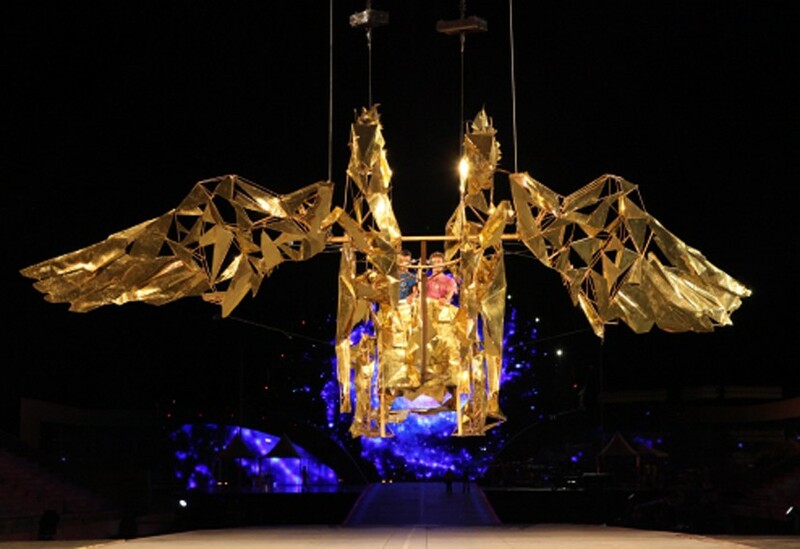 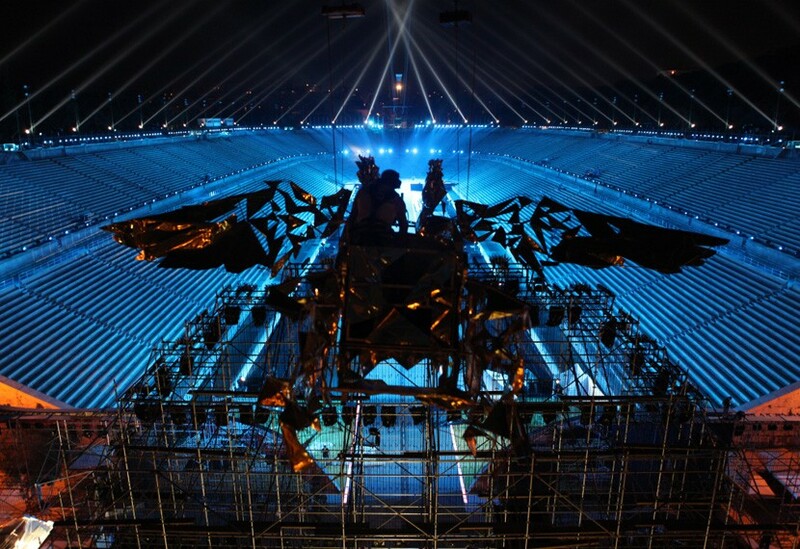 These figures, made in the form of concertinaed projection surfaces, were flown in flat, morphing into the required 15m shapes during the ceremony. 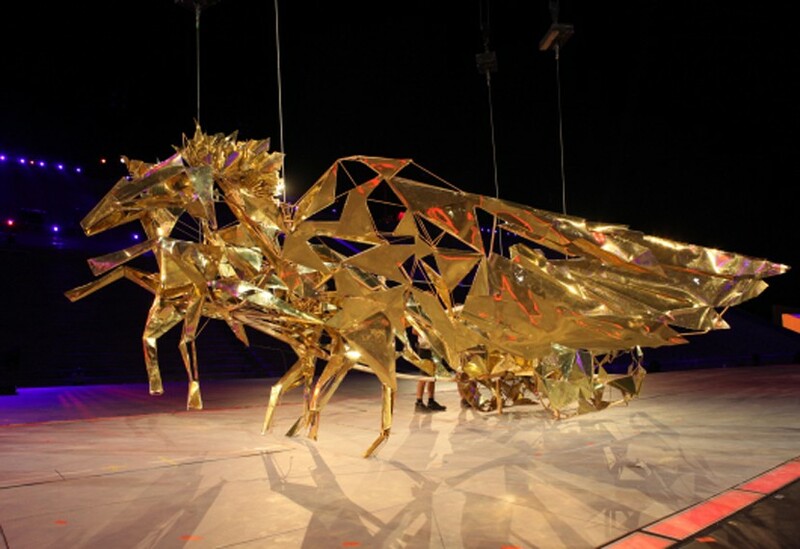 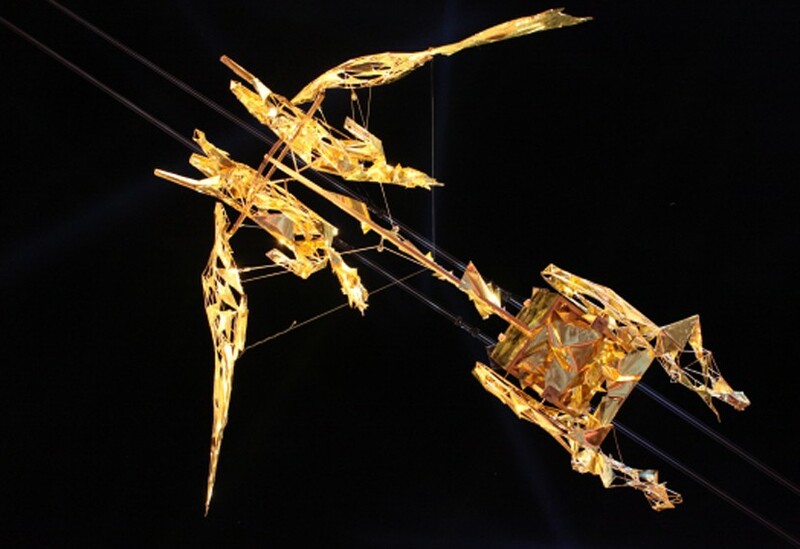 We also created an 8m long, 300kg, sculptural ‘Chariot of the Sun’ consisting of a bent and welded steel frame, complete with gold foil finish and detailing.